Bladder management is a hugely important factor that needs to be taken into consideration when it comes to managing patients with spinal cord injury (SCI). In the following blog post, we will discuss differences between ambulatory urodynamics and conventional urodynamics on patients with SCI. 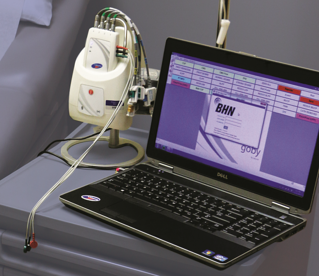 According to this article1, conventional urodynamic testing has multiple drawbacks mainly due to the unfamiliar circumstances for the individual, immovability of the instrument, expenses, restrictive position during the test as well as manual filling of the bladder (rather than natural filling). Therefore, fully ambulatory urodynamic monitoring systems have been developed, which enable the pressure in the abdomen to be measured in a perfectly non-invasive manner. The question is: how reliable are they and can we use the findings effectively?